California Considers Blacklisting Contractors For Working On President Trump's Border Wall "If you're a business that wants to do work with Trump's proposed wall, then quite frankly, California doesn't want to do business with you," one lawmaker says. 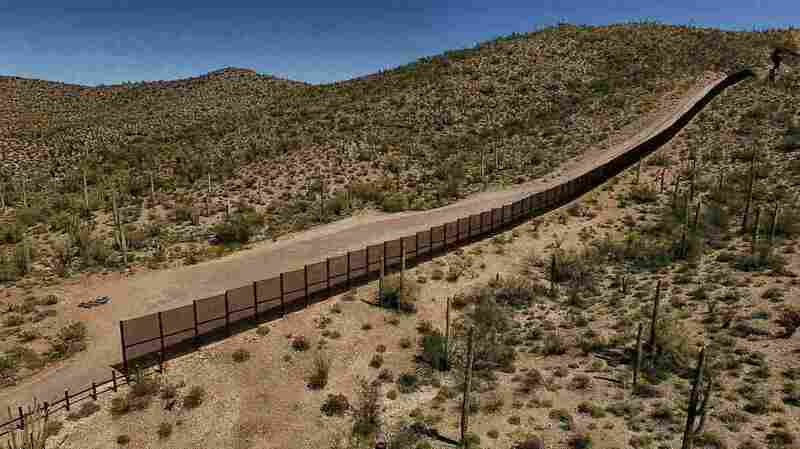 The metal fence along the border between Sonoyta, Mexico, and the Arizona desert in the United States. Democrats at the state level are getting increasingly elaborate in their efforts to oppose President Trump at every turn. You might even say they're trolling him. And nowhere is that more evident than in several blue-state efforts to hinder or outright block the president's long-promised Southern border wall. In California, for example, state lawmakers are debating whether to blacklist contractors who help build the president's proposed border wall. "If you're a business that wants to do work with Trump's proposed wall, then quite frankly, California doesn't want to do business with you," said Democratic state Sen. Ricardo Lara, who represents Los Angeles County. Lara's bill would ban the state from contracting with any company that provides goods or services to the federal government for a federally funded Southern border wall. "What would we think of businesses that would work on an internment camp?" Lara asked. "What would we think of businesses that work on segregated schools? I mean, these were legitimate projects back in the day. And if they so happened to exist in this time, would we be OK with businesses contributing to that?" Contractors, of course, see big problems with this legislation. "What we're doing here is very dangerous in that we're creating a slippery slope and hand-picking projects that are not politically favorable to the California Legislature," said former Democratic Assemblyman Felipe Fuentes, who's now a lobbyist for California contractors. At a recent committee hearing, Fuentes told lawmakers that he opposes the border wall, but "if we have jobs or contracts that are out to bid for prisons, or for Planned Parenthood clinics — at what point do we stop hand-picking projects and put them in the crosshairs of these political conversations?" This debate is also playing out in statehouses across the country, especially the ones controlled by Democrats. New York has a bill that would blacklist border wall contractors and force public pension funds to divest from them. So does Arizona, although that proposal would appear to be a long shot in a state controlled by Republicans. A divestment bill in Rhode Island has a committee hearing scheduled for Wednesday. And while divestment proposals in California and Illinois have stalled, they're likely to return. State lawmakers are increasingly turning to divestment bills as a tool to drive public policy. California, for example, has banned its massive public pension funds from investing in the coal industry and certain companies that do business in Iran. Meanwhile, the New Mexico Legislature is debating whether to ban the sale of 22 miles of state-owned land along the border. The border wall isn't the only battleground for Democrats seeking to attack President Trump. Several states, including California, have bills that would require presidential candidates to release their tax returns to make the ballot. But the fates of all these bills are far from clear. They'll need to win approval from state lawmakers, governors and, quite possibly, courts.